In 2017, the Academy of Mary Immaculate celebrates 160 years of continuous operation as a College. As the oldest girls’ secondary college in Victoria, our contemporary focus draws on foundations within the Mercy tradition. We see our students as young women who will make a difference in a world that desperately needs honest, strong and compassionate leaders. We offer an education for girls that is not just about preparing them for the future, but also about giving them the skills, confidence and heart to shape the future. 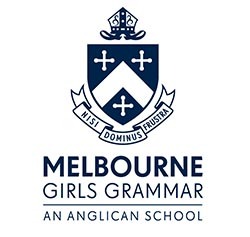 As the city school for girls, our central location enables easy access to Melbourne’s best cultural and learning centres and opportunities that transcend the classroom. It is an enriching way to learn and opens the door to a unique Melbourne learning experience. The Academy’s campus extends to sister schools in Italy and Japan, and study tours of France – opening up new horizons for students. From the beginning of the secondary journey, our structured Year 7 immersion program builds a sense of belonging while supporting girls to grow their independence and take responsibility for their learning. The program includes Orientation Day, House sports, Big Sister/Little Sister program and the Year 7 Camp. Our size contributes to building a community of lasting friendships and peer support, and where every student is valued and given focused support along their academic journey. Each student participates in core curriculum tailored to her ability and aspirations. The wide co-curricula augment traditional learning in areas including: music, performing arts, visual arts, academic extension programs and leadership development initiatives. Our extensive sports program of inter-house and interschool athletics, and indoor/outdoor team sports promotes a culture of participation, while enabling talented students to compete at the highest level. We encourage all Academy girls to be all that they can be and each graduate who leaves deeply appreciates not only our six key Mercy values, but also the role of women in the future of our world. Discover first-hand the Academy difference for yourself.